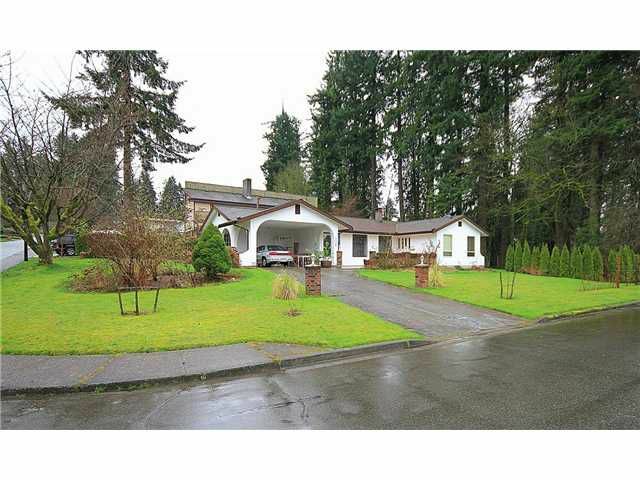 RANCHER in WEST MAPLE RIDGE! 3 bdrm 2 bth home on a LARGE (9491 sf) lot located on a cul-de-sac. Features include Beautiful Bamboo Hardwood Floors through the whole home (10K cost), newer appliances including a Bosch gas range,newer light fixtures and a wood burning insert that heats the whole house. Home is on a corner lot with a very private park-like side yard looking onto greenbelt. Ensuite needs updating and closet doors are missing, but with a little $ and sweat equity this one will sparkle! Come view today!